On October 22, 2018, asked for their thoughts about the “caravans” of tens of thousands of impressively healthy and well-dressed, mainly young, military-age male “migrants” marching/trucking/bussing across Guatemala and Mexico toward the U.S. border, a panel of independent voters surprised “Fox & Friends” co-host Steve Doocy by expressing sympathy for the “migrants” because, as the panel put it, the poor “migrants” are just fleeing poverty, oppression and violence. The unexpected sympathetic reaction from the panel of independent voters was celebrated by the Hate America Media (HAM). Washington Post praises the panel as heroic “rebels”; Salon commends the panel for rejecting Fox News‘ “fearmongering”; while The Hill snickeringly calls Fox News’ assemblage of the panel as an “epic fail”. But it’s not just the panel of independent voters. Just remember that the above examples are not from the overtly-Leftwing media. It’s supposedly conservative Fox News. (1) On October 19, 2018, the “migrants” broke through a flimsy border fence on Mexico’s southern border onto a bridge leading to Mexico. A violent clash with dozens of Mexican police in riot gear ensued, in which several officers were injured. See “Thousands of ‘migrant caravan’ invaders break through Mexico border fence – Video”. (2) On October 28, 2018, as reported by the AP, another group of young male “migrants” stormed Mexico’s southern border in the Guatemala town of Tecun Uman and forced their way across. Some of the “migrants” were carrying rocks and bottles to throw at the police; others were armed with guns and firebombs. A 26-year-old male “migrant” was killed, but reports differ as to who actually killed the man. See “Shocking video of second ‘migrant caravan’ tearing down Mexico-Guatemala border fence; one invader killed”. The fire was reportedly started at a facility dual-purposed as a checkpoint and makeshift detention center for Mexico’s National Migration Institute (INM) in Pijijiapan, Chiapas, when a group of migrants housed there set fire to their mattresses, Televisa Noticias reported. According to local public safety director Jaime Marroquin, authorities were housing 21 men, five women, and three children which were in the process of being deported. The migrants reportedly set fires to give cover to their escape. Firefighters responded to the scene while Mexican Federal Police officers detained the alleged runaways and moved them to a large immigration facility in Tapachula, Chiapas. The caravan began its journey earlier this month in Honduras and publicly announced its intent to reach the U.S. border. The Mexican government offered the caravan temporary jobs, health care, and education if they agreed to stay in southern Mexico and follow the country’s legal procedures for requesting asylum. The group largely turned down the offer, however, according to the INM, 111 migrants agreed and requested Mexican identification documents. Texas Border Patrol begs for help, besieged by ‘migrant caravan’ advance mob. Troops deployed at border? 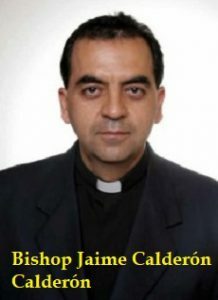 This entry was posted in Conservatives, crime, Honduras-Guatemala 'caravan' invasion, illegal immigration, Liberals/Democrats/Left, MSM, United States and tagged Bishop Jaime Calderón Calderón, Brian Kilmeade, caravan migrants crash Mexico-Guatemala border, Fox News, Lou Dobbs, Sidney Powell, Steve Doocy, violent caravan migrants. Bookmark the permalink. But, what isn’t said is this is ‘just the beginning’…if this is allowed, open the gates for thousands more every month. Political ads from Commiecrats on local radio are playing up the healthcare is the most important topic for voters schtick. They must think the deplorables are as stupid and useless as their braindead idiot true believer comrades. Well if President Trump will provide tents for the invading locust, whom eventually will be given a free pass in the US, is he planning to donate HIS $$$$$$$$$$ to: feed them, provide healthcare, clothing, housing, Medicare/Medicaid etc, or is he planning for WE THE PEOPLE to sacrifice for their welfare. There is a family with five children, the oldest 10 and the youngest 5 mo. am I going to be their keeper? They will be absorbed in front of our noses, and we will find ourselves once again with our pants down asking for more! If the standard is that you apply for asylum from your own home country–then that is it. If you do other than that, you get sent back home. Do we really want people whose mindset is that they burn down public buildings if they don’t get whatever it is that they want? I think not. When I was an impovished college student back in the early 70s nothing made me feel more equal than setting fire to other peoples stuff. This so-called migration may be motivated by The Promise of Sorrows (sic) to give each member of the family that gets inside the USA a gift of $1,000, or something on that order. I don’t know why people keep calling it a migration; that term we reserve for birds, caribou, and butterflies, amongst other critters. This is well and truly an invasion, nothing less! The answer you get depends on the person you ask. So they got a few in one place who like illegals. I’m not impressed. Most Americans don’t want to be invaded by people who can’t follow the simple rules of applying to be here legally. Criminals from DAY ONE. These illegal invader trying to get into out country are violent people, just like the democRATs and crybaby liberals that are already in this country. Build the wall…Deport them all. DemocRATs and liberals are the United States number one enemy. Outside of an occasional local news broadcast, I stopped watching TV “news” a long time ago. I can read ten times faster than the nuze goobers can talk, and I know my way around the net and the sites I know I can trust. The hosts of FoxNews are nothing more than paid prostitutes. They are wholly owned and operated by the man who signs their checks, the Murdochs, who are part of the Bloomberg et al amnesty/open borders activist group. Left Fox for OAN where hosts such as Graham Ledger are not parrots for their boss’ agenda and who are unafraid to speak the truth. Heard Pres. Trump’s press conference on the way home from work today. He was talking about the invasion force coming up, and the subject of use of force came up. POTUS said that he told the army to treat a rock like a rifle, citing the damage and injuries they caused the Mexican police as they burst through the border fence; he said that there were a lot of tough men in the invasion force. Pres. Trump said that he hopes it doesn’t come to that, but he stressed again the need to protect our border-yes! I’m a bit surprised that those independent voters were very sympathetic, usually, it’s CNN that tries to show independents as normally liberal; Fox tried the same thing, and got the result that CNN wishes they could get.